Apocalyptic and dystopian novels have the same fascination for me as those geologic mega-disaster shows, and I have finally realized why: they portray global disasters for which I am in no way responsible and about which I can do absolutely nothing. I can't send money to stop sunspots or sign petitions to plug volcanoes or demonstrate against the inexorable slow advance of continents smashing into each other. Nonetheless, all of these events will occur sooner or later, and it is interesting to speculate how society as a whole and individuals within that society will deal with them. 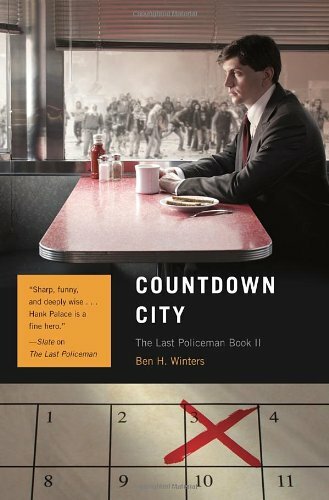 Countdown City is the second in a pre-apocalyptic trilogy by Ben H. Winters. His Edgar-winning first book in the series, The Last Policeman, was set six months before the huge asteroid called Maia will impact the earth, wiping out most of civilization. About half of that time has passed at the opening of Countdown City, and Concord Detective Hank Palace, along with the rest of the force, is out of work. Police forces have been nationalized; electricity and communication services are mostly nonexistent, and water services in the city have finally failed. Law enforcement efforts have shifted from investigation to simply maintaining order. When his old babysitter, Martha, asks for his help finding her husband, Brett, a former State Trooper who has left after promising that he would stay with her to the end, the likelihood of finding one man in a world where millions have abandoned their previous lives seems hopeless. "I've thought about it so much, believe me. I mean, it sounds silly, but something good. He wouldn't be off bungee jumping or shooting heroin or whatever. 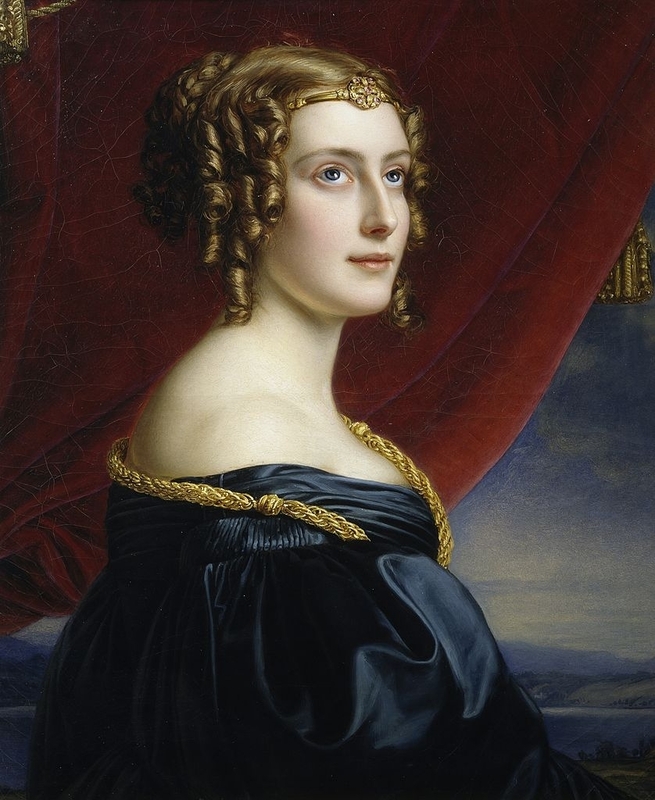 He'd be doing something, like, noble," Martha concludes. "Something he thought was noble." Palace's sole tenuous lead is to a student activist at the University of New Hampshire whom Brett had arrested, then refused to testify against, even though the refusal had cost him his job. Hank rides his bike 40 miles to the Durham campus in search of Julia Stone, only to be nearly killed by an anarchist group calling itself the Free Republic of New Hampshire occupying the University. He is eventually shot, and is only rescued from death by his sister Nico, a member of a well-organized and -equipped group of paramilitary conspiracy theorists. Her group is attempting to rescue the only scientist who may be able to prevent the impact, who they believe has been kidnapped by a power-hungry cabal prepared to sacrifice most of humanity so they can control the world after. This series should be terribly bleak but somehow is not; a surprising number of people retain elements of human decency and purpose in the face of impending universal destruction. And, of course, a great many do not. As in the first book, the mystery takes second place to the slow devolution of society into groups; from anarchists to predatory bandits to religious zealots, each organized according to the beliefs and values of its members. In a world slowly going mad, laconic, lonely Henry Palace remains a likable if very unlikely paladin. I look forward to the third installment in this unusual trilogy. 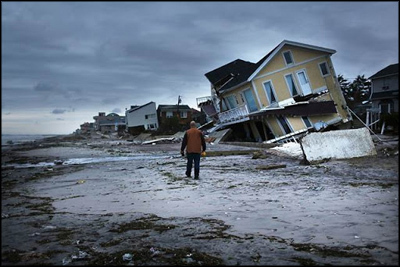 In Michael Farris Smith's Rivers: A Novel, the federal government, after many years of increasingly destructive hurricanes, has given up on the Southern Gulf Coast and drawn the Line. Lowland regions of seven states, including all of Florida, are to be entirely abandoned to the elements. Residents who disobeyed the mandatory evacuation orders are on their own; no services of any kind would be provided below the Line. Power, water, police, mail, and medical services are no longer available. Soldiers are stationed at the Line to prevent marauding bands from entering the diminished United States, although small unarmed groups and individual refugees are still welcome. Cohen had opted to stay in his home on the Mississippi coast after his wife and unborn daughter were killed, and he buried them in his old family plot. Despite the endless rain, he was managing well enough with his dog and his horse and his ghosts. The house was sturdy––he had built it himself––and Charlie, an itinerant tinker dealing in all kinds of foodstuffs and supplies, makes irregular rounds to nearby towns, providing food, fuel, and ammunition to Cohen and his few die-hard neighbors. Coming home from a buying trip one day, Cohen picks up a pair of teenagers and agrees to give them a lift. They mug and rob him and take his jeep, leaving him to die in a swamp. When he arrives home, his house has been stripped of all of his survival gear, food, and money. Even the few precious mementos of his wife are gone. The generator is still there, so Cohen knows they will be back. He disables the generator and leaves with his dog and horse, leaving a note for the thieves, "To whom it may concern, he is not dead, he is risen." Without any means to survive, Cohen will have to make a run for the Line. But he is determined to find the thieves and recover his cherished box of memorabilia first. When one of the thieving band is attacked by a mountain lion after leaving Cohen's jeep unattended outside a church where Cohen has taken shelter, he learns the location of the band from the dying man. While this story moved well and the writing was lyrical and at times quite intense, this is more a "slice of life in interesting times" novel than one with an overarching plot. Rivers is a dark story with a claustrophobic Southern Gothic feeling. In light of the weather anomalies in recent years, the premise is both remotely plausible and quite depressing. No wonder Cohen chooses to live so much of the time in his head, revisiting happier days! Below the Line is not a place I can ever imagine choosing to live. Note: I received free review copies of these books. Countdown City was published on July 16, 2013 by Quirk Books. 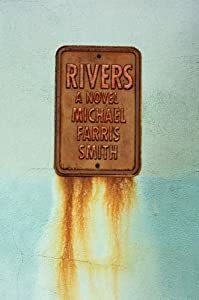 Rivers: A Novel will be released by Simon and Schuster on September 10, 2013. Labels: apocalypse, asteroid, dystopia, hurricanes, Smith Michael Farris, Winters Ben H.
Ooh, I'd not heard of RIVERS before. I love apocalyptic and dystopian reads. Adding it to my "to read" list! Becky, the premise was really creepy because I could see it possibly happening. I understood the storms, but not the phenomenon of the continuous unending rain.